Chief Justice of Pakistan (CJP) Mian Saqib Nisar on Monday ordered the Election Commission of Pakistan (ECP) to withhold notifications announcing the victory of senators-elect believed to be holding dual nationalities. During the hearing of a suo motu case concerning civil servants holding dual nationality, Justice Nisar inquired how many senators were dual nationals. 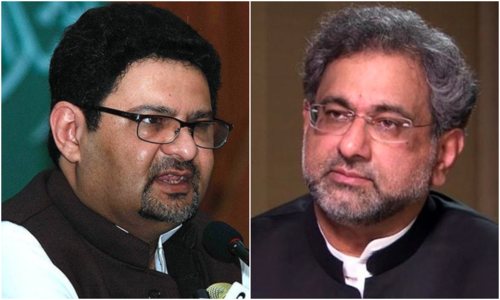 The attorney general (AG) then told the court that four senators-elect, including Pakistan Tehreek-i-Insaf's (PTI) Chaudhry Sarwar, Prime Minister Shahid Khaqan Abbasi's sister Sadia Abbasi, and the PML-N's Nuzhat Sadiq and Haroon Akhtar, possessed dual nationality. PTI's Sarwar is believed to be a UK national, while Nuzhat Sadiq and PM Abbasi's sister Sadia hold a US nationality, ECP Secretary Babar Yaqoob, who was representing the body, told the court. Akhtar had previously denied holding a foreign nationality, but the interior ministry had confirmed that he was a Canadian citizen, Yaqoob said. The ECP secretary said that the senators holding dual nationality had submitted affidavits claiming that they have given up their nationality of the other country, but had not submitted any legal documents confirming the same. The Supreme Court (SC) subsequently ordered the ECP to withhold the notifications of the senators in question. The CJP, during the course of the hearing, remarked that if the people who were entrusted to pass the laws of the country were dual nationals, they could "pass on classified information and escape to another country". The AG's claim that PTI senator-elect Sarwar possessed dual nationality elicited a strong response from the party. PTI's media cell released a statement along with a document from the UK Border Agency, declaring that Sarwar had revoked his UK citizenship in 2013. "It is the legal and ethical responsibility of the attorney general to check his facts before recording statements in the Supreme Court," PTI spokesperson said. "The party is seriously reviewing the hidden political motives in the attorney general's statement." Meanwhile, the chief justice formed a six-member committee to investigate and submit a report about government officers who hold dual citizenships by March 25. The committee headed by director general of Federal Investigation Agency will comprise Nadra chairman, DG immigration and passports, additional interior secretary, additional establishment secretary and a member of the Federal Board of Revenue. 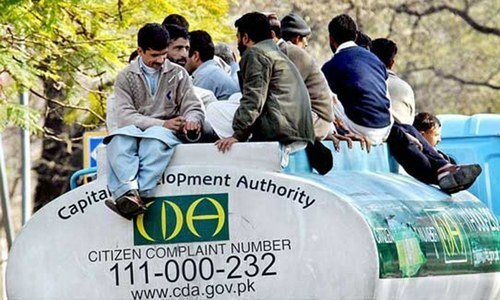 The court also directed Nadra to prepare a software to determine if civil servants hold dual nationalities. The software will be provided to the heads and secretaries of all relevant departments for the provision of data. 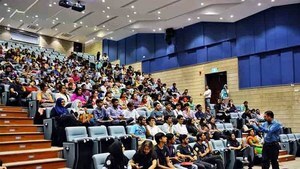 The committee was formed after the establishment secretary informed the court that 127 civil servants working for 43 divisions of various ministries are dual nationals. Sixty-four officers in Punjab, five in Sindh, 18 in Khyber Pakhtunkhwa, eight in Balochistan, 28 in Azad Kashmir and one in Gilgit-Baltistan hold dual citizenships, he informed the court. There should be lifetime ban on those person along with severe penalties for parties . It is only in Pakistan, carry dual citizenship and get elected to the parliament, when something happened there they go flying to their second home. Good step. Get them all especially naya pakistan , did IK not know that he’s a dual national ?. How did they allow him to contest the election. Good job, CJ! Now apply same rule on the MNAs and MPAs too. A Prime Minister, President, Minister and Senator can not and should not be allowed to hold dual nationality. His or her loyalty must be 100% to Pakistan. To be honest, there should be a law which require their assets to be in Pakistan as well as their families for atleast the past 5-10 years. There is nothing but one political motive that three of PMLNs senators-elect needs to be disqualified. Fair enough. They have to choose which nationality they want to retain. They cannot have the good of both the countries. Removing the confusion that invariably form part of everything that is done by us, wouldn't it be better to call for an affidavit from every member selected for the senate, asking them to declare how many nationalities they are holding? To avoid any future risks, it could be added that they have to inform in case they opt for any other nationalities while being members of the senate of Pakistan. Shame on PM for letting his dual national sister run as a senator! Conflict of interest! I highly praise this order. It is the responsibility of the political parties to check the nationality status of the candidates before giving them tickets. All dual nationals and green card holders must not be allowed to run the Pakistani Government. Intitiate legal action against the Attorney General for misfeeding the SC on Ch.Sarwar ex Governor Punjab regarding his dual nationality. If the AG of Pakistan is giving statements to the SC Judges that are not checked and basically flawed, then the Judges need to put this guy on his place for being irresponsible. How can the judges rely on him to provide them with the informations? Because of this dual citizens allowed to contest elections there is a huge cost that has now wasted who will bear this cost? Is there a law that bars individuals carrying dual nationality from contesting elections and holding an office? If there is one already in place, then it's fine, otherwise, this is an arbitrary ruling. First form proper laws then act accodingly. Let's be honest. If we get a chance to go abroad, most of us will avail the opportunity. Loyalty cannot be checked by passport! When these people already know that it is illegal to hold senate seat if they have dual nationality then why they contest elections. These corrupt, crook elected senators must be stripped from their seats. Where was ECP? When horse trading were going on? Apparently all of them have admitted giving up the second nationality. The supreme court will just verify their claims and the ones lying will be penalized appropriately. Still, the ones who acquired a second citizenship through naturalization should be held accountable. If someone automatically acquires a citizenship through birth or through parents, that should be considered differently. It's just a ploy to show how efficient our departments are. I doubt anything significant will materialize. This rule should also apply to all government employees including judges . Anyone with Dual Nationality or even Foreign Residency or Immigration Status should be barred from holding public office. Period! Dual nationality--an escape route for the corrupt politicians and civil servants. 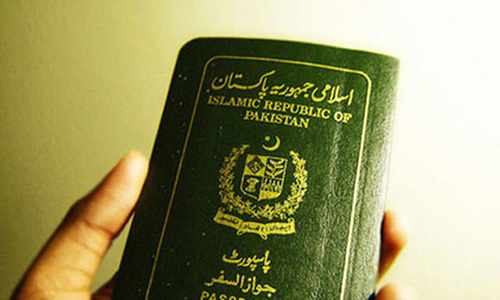 The very law that allows Pakistanis to hold dual nationality should be repealed. Mr Sarwar has already denoucned his British citizenship. Government lawyer needs to keep up-to-date. Pakistan needs one simple law. Those in the parliament and public service (above grade 17) are not allowed to to seek medical treatment or undergraduate education abroad for themselves or their immediate family, unless it is not available in pakistan. These sectors will surely see some improvement in time to come. Did the ECP NOT know about these Dual Nationalships? And, if NOT, why NOT? Is there a Law against Dual Nationals fighitng elections in Paksitatn? If there is then Why were these people allowed to fight an election? If there is NO Law agianst it, then why this action now? This is ALL so messed up. I know for a fact that Senator Saleem Mandviwala holds a US citizenship as well. @Fredy read complete story.ch,sarwar has given up his British citizen ship. This should have been long time ago. @Fredy please read the news item again. PTI is currently contesting the reply submitted by AG. Let's wait to see if they are telling the truth. It would be interesting to know why the Attorney General mentioned Mr Sarwar's name if it turns out he did revoke his British Citizenship.... PTI seem to have the proof so if that is the case the Attorney General should be punished for this "mistake"
@Maria enteparia onnuchoriu - check Australian parliament; elected members and office bearers are found with same issue and there are actions taken against. Thank you. @Fredy did you not read the statement from PTI above? - they have denied he has dual nationality and provided evidence from the UK Border Force to show that he revoked his citizenship. @Maria enteparia onnuchoriu Not true. Most countries allow dual nationals to run for office. For example, in the united states as a dual national you can run for any office. The only limitation is that you can only run for President if you are a United States citizen by birth. @Shah You have an opinion but I disagree. Dual nationality has nothing to do with shared loyalties or corruption. In fact the vast majority of corruption charges are on individuals who are NOT dual nationals. @Fredy he revoked his British citizenship. One should not jump to conclusions. Of course pml n would want him out of senatorship as his being nominated by 44 members caught them off guard. Anyone holding not only another country Citizenship but residency of another country (such as Green Card or any resident Card from US/Canada/UAE/Australia/EU etc) or from any country should not be allowed to hold any government position. Regardless of the position level. Also most importantly: Any immediate family members (Wife/Husband/Son/Daughter) having another country citizenship should be considered conflict of national interest and should not not allow to hold any critical level of positions such as grade 17 or above in government. I bet you can reduce the corruption almost 20% to 30% that way. Truth is, its really a matter of getting a chance of going abroad. Many of us will go abroad, we have double standards! @Maria enteparia onnuchoriu Many countries have dual-citizenships allowed for politicians. Those who are honest don't need to run away just because they have another citizenship. @Fredy hold your horses mate. You better read the whole article which clearly states the response from PTI that Ch. Sarwar revoked his UK citizenship back in 2013 and attorney general should give responsible statement before the court regarding ch. Sarwar’s nationality. The same rule should apply on government servants who possess Green Card or Permanent Residence Card of a foreign country. Ch sarwar was one of those MPs in UK who never spoke one sentence in the parliament. He bribed his opponent to get in the parliament. He was disowned by the Labour party. He used to run a cash and carry for Sher Ali, Abid Sher Ali's father all his life. He is least educated and has no skills. MNS rewarded him for looking after them in their exile years and he was appointed as governor. He left the party to join PTI. I am surprised PTI has given him a big status. By all means let then be elected first! @Fredy he renounced his UK citizenship in 2013 when he became the N league governor. Don't be ignorant and easily misinformed. Dual citizens must not be allowed to run for office. They cannot do this in USA or UK. Why these fake politicians do it here. They have doubtful loyalties with Pakistan otherwise they must revoke foreign nationalities before running for office. Life long ban on such people who have pledged an oath of loyalty to another country. They have no right to hold public offices where fate of millions are decided. Dual nationality means dual loyalty. Bt loyalty cant be dual, a person should be loyal to only one country. Dual nationality reflects doubtful nature of a person. How can a person remains loyal to two states at a time? One state one loyalty. Those who have dual nationality must b romoved from a responsible position. Regardless of my political association I demand life time ban on holders of public office having dual nationalities. If these Dual Nationalities Senators get elected from both countries will they keep flags of both countries during international meetings attended by them. Just imagine ambiguity of delivering interests for both countries. I am a dual nationality holder.